BCC is proud to announce its participation in the 2011 March Against Hunger food drive. 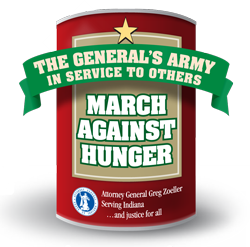 The March Against Hunger is a statewide competition between law firms in Indiana to raise much-needed resources for local food banks. BCC will be donating the food collected to the Northwest Indiana Food Bank.